Sales of the Prius plug-in hybrid will begin next summer in Europe. FRANKFURT -- Toyota Motor Corp. will unveil an ultra-frugal, plug-in hybrid version of its Prius compact car at the IAA in Frankfurt next month. The car will be the cleanest and most technically advanced Prius built to date, Toyota said on Monday. 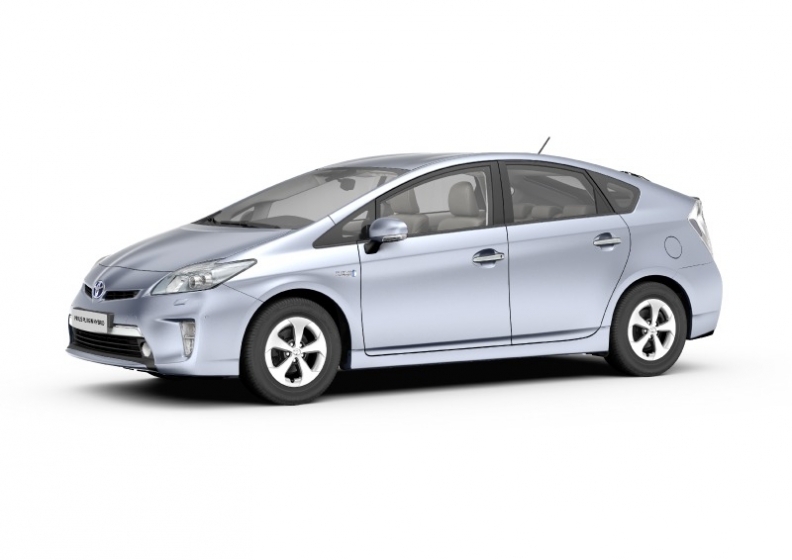 According to the automaker, the plug-in Prius has a fuel consumption rating of 2.2 liters/100km (106.9 mpg US/128.4 mpg UK). It will have CO2 emissions of 49 grams per kilometer, almost half the emissions of the standard Prius, and will be the first Toyota EV to use a new compact lithium-ion battery that offers a driving range of 20km in electric mode, a significant improvement over the 2km range offered by the current model. Previous Toyota electric vehicles have used nickel-metal hydride batteries. The Prius plug-in hybrid has the same 1.8-liter gasoline engine and electric motor setup as the hybrid Prius. Toyota said the battery can be charged in 90 minutes using a domestic mains connection. Next summer, the Prius will join an expanded Toyota hybrid range in Europe that will include the Auris hybrid, the new seven-seat Prius+ and the Yaris hybrid.